Here is a link to his show A Culinary Journey and the recipe I’m featuring is the salmon dish near the bottom of the screen. Now you’ve probably noticed that I am not making a salmon dish. Try as my husband might he just can’t develop a taste for fish. And he has tried. So I thought this would be perfect with a nice grilled steak. 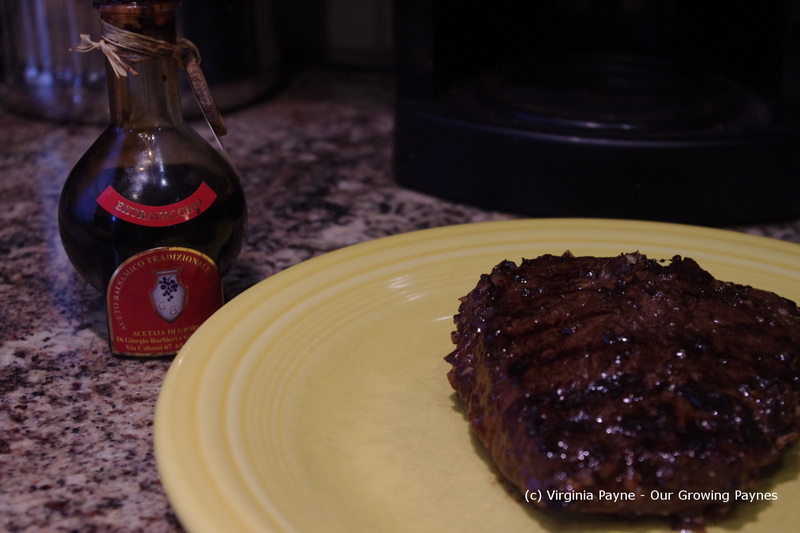 I kept the steak simple with a garlic balsamic marinade. Just the balsamic, chopped garlic, and olive oil. Salt and pepper the steak and add to the marinade about an hour ahead of time. I had a tough time finding arugula as the season has been weird so I had to get some at the co-op. 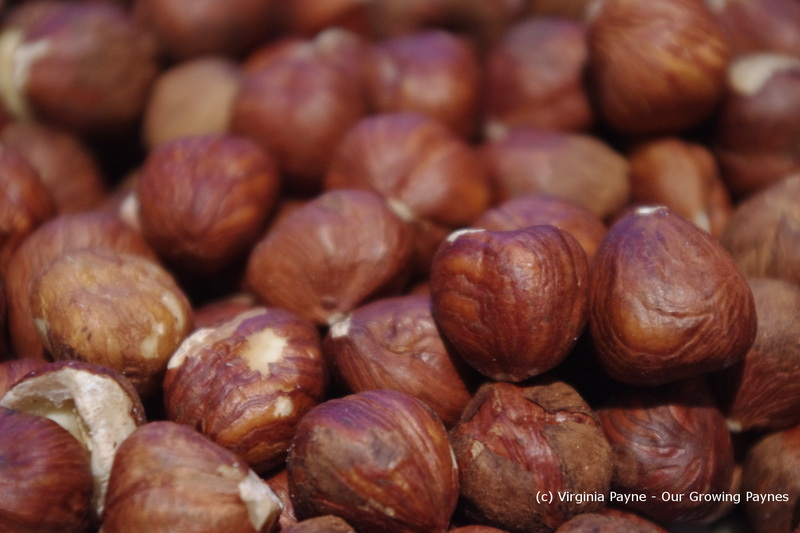 And the only hazelnuts I could find had the skins on them. 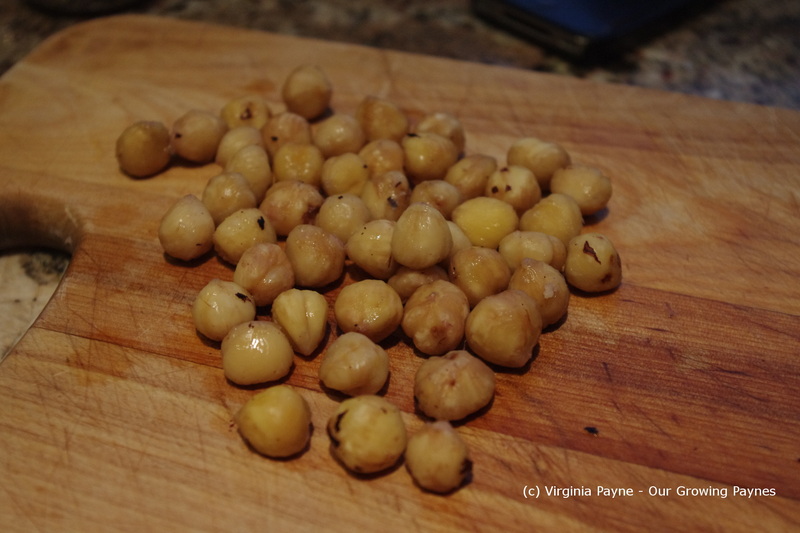 I’ve never cooked with hazelnuts but I knew I didn’t want the skins. After a bit of research on the internet I found a few tips pointing to the same technique. Boil a couple of cups of water. 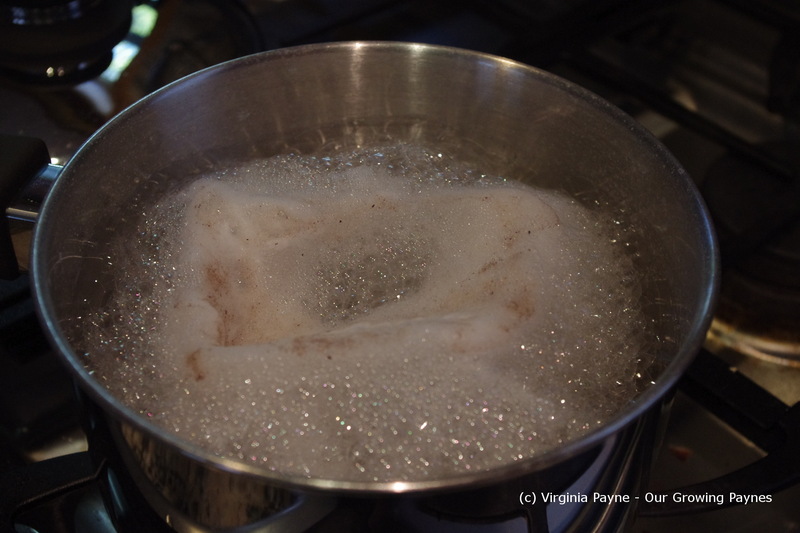 Then add 3 T of baking soda. It will foam up quite a bit. 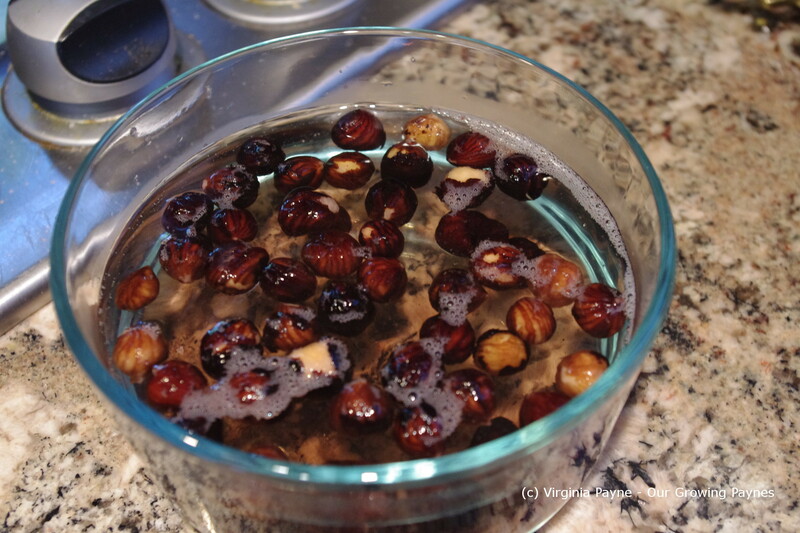 Boil the hazelnuts for about 3 minutes then plunge in cold water. It’s messy but the skins come off easily. 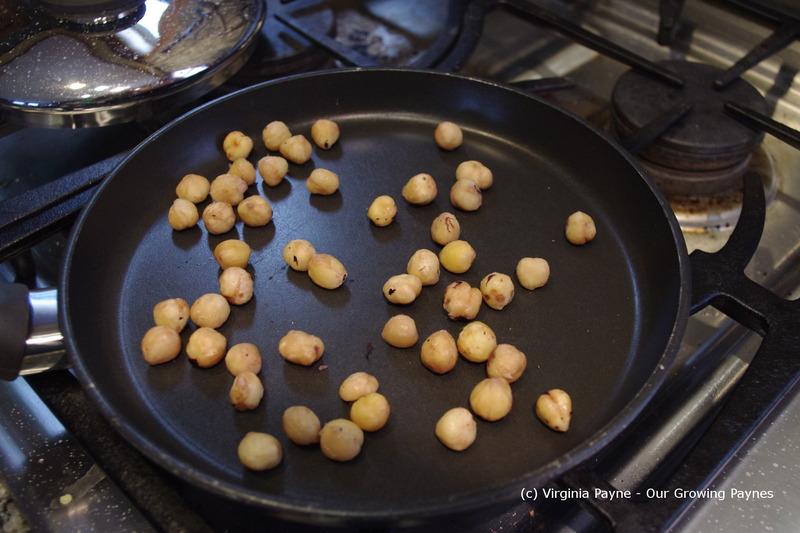 Next the hazelnuts need to be roasted. Everyone says when roasting nuts to roast until you get a nice nutty smell. I don’t have a sense of smell. So I had to keep a close eye on them because you don’t want to burn them, just get them golden. 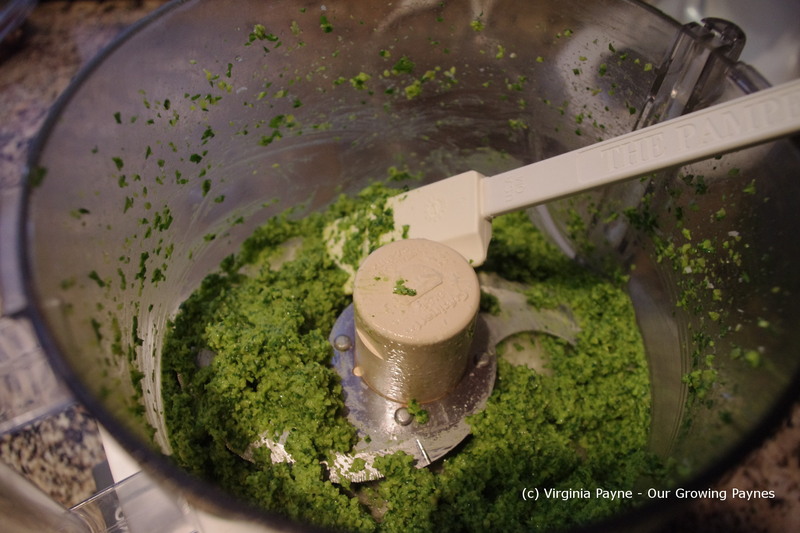 While they are roasting, and that doesn’t take too long, prep the rest of the pesto. 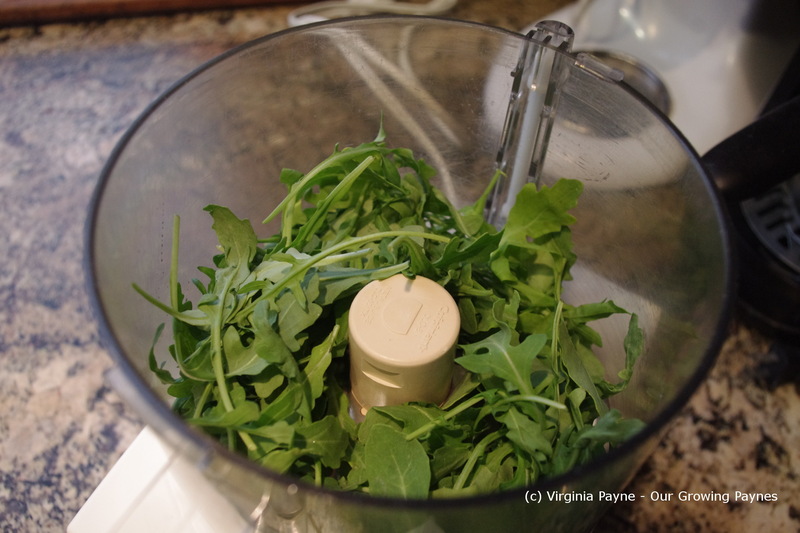 In a food processor throw in a couple of handfuls of arugula. Add about 1/2 cup of parmesan, a good pinch of sea salt, and then pulse it to blend. 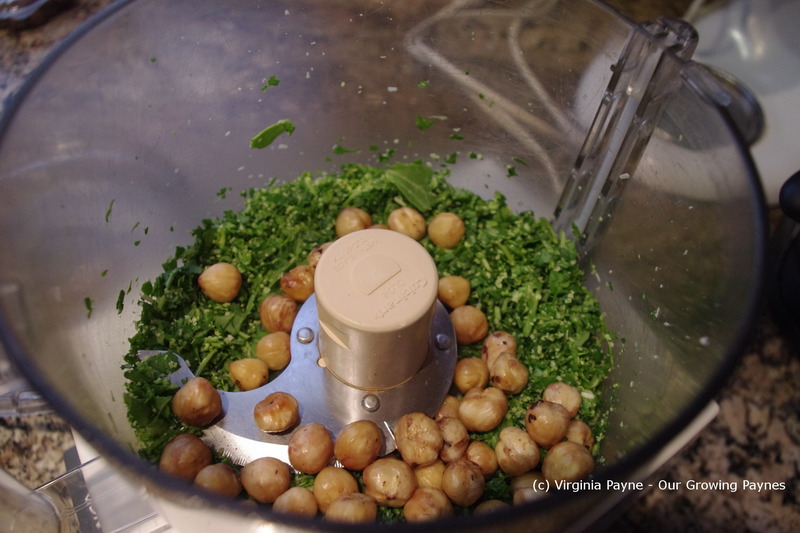 Add the hazelnuts. 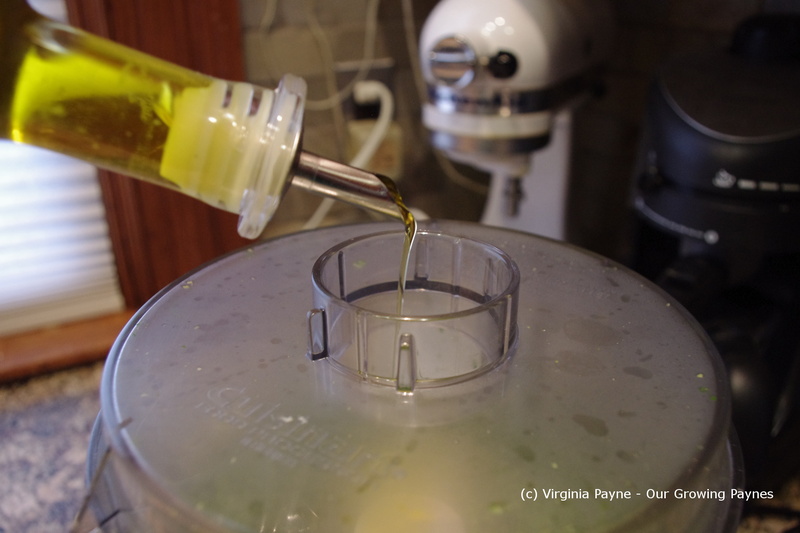 Pulse to blend then as you are processing drizzle the olive oil in to bring it all together. Add a bit at a time until you get the right consistency. You don’t want it dry but you don’t want it goopy either. To add a bit of brightness I added a bit of lemon juice as well. I grilled up the steak and while it was resting I added a few drops of real balsamic vinegar to give the flavours more depth. To serve I sliced the steak then grated parmesan over the meat. 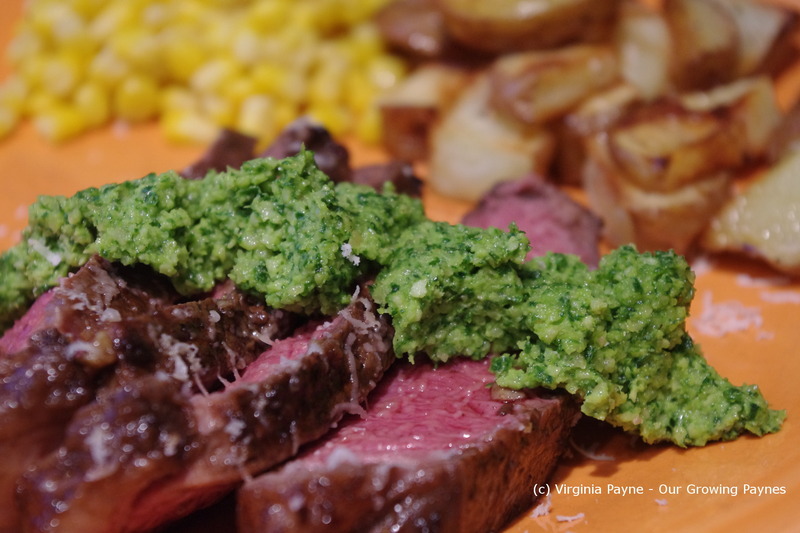 Then I added the pesto to the steak. I served this with roasted potatoes and corn.